Our guide to Boston will help you find the best kid friendly parks in Boston Massachusetts. Boston is a giant of a small city: big on opinion, beauty, and heart. Brimming with New England pride, but permeated with a down-to-earth attitude, it's a city that defies stereotype because it consists of many different layers. Boston is compact, culturally rich, and can largely be explored on foot. There are tons of great kid friendly parks in the city of Boston, our city guide will help you find the best kid friendly parks. You may have a hard time deciding what to do in Boston, but we make your decision easy. 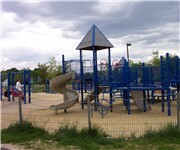 595 Dudley St, (617) 606-3566 - Dudley Village Playground is a kid friendly park located in Boston MA. 85 W Newton St, (617) 517-5558 - O'Day Playground is a small, local playground in the South End. 8th St & 1st Ave - A small playground near the Charlestown Navy Yard. 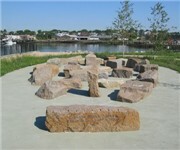 Back St & Hereford St, (617) 227-0365 - A fabulous pair of playgrounds along the Charles River near Boston's Back Bay. Camden St - Boston, MA is a kid friendly park located in Boston MA. 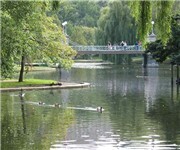 Fenway & Boylston St, (617) 635-4505 - Back Bay Fens is a kid friendly park located in Boston MA. Groton St & Shawmut Ave - A small playground in the South End of Boston. Neponset Ave & Chickatawbut St, (617) 442-0281 - This park features a modern, well-equipped playground area as well as a basketball court and several baseball fields. Prince St & Snow Hill St, (781) 289-2316 - A Boston playground in the North End. Saint Martin St & Wellington Pl - A small playground atop Bunker Hill, near the Bunker Hill Monument. There are plenty more kid friendly parks in Boston. 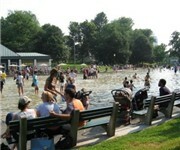 See all kid friendly parks in Boston Massachusetts.